18-U, 24-7, 0-0, 24-7, Four Championships, This team never lost a Sunday game this season. They did have two Sundays rained out. As an Organization, 199-181-7, 38-26-3, 237-207-10, 15 Championships, Five Seconds, and Nine Thirds. As an Organization 24-9 for the weekend. * This team did not loose a Sunday game all season! Organization 16-8-1 for the weekend with a Third and two Championships. Organization, 29-15 for the weekend, 3 Championships, 1 Second, and 1 Third. 10-U, inactive, last tournament will be next weekend. 10-U, CT Titans Mike Arburr Memorial, 1-1-1 on Saturday, the 4 seed, rained out prior to their first game on Sunday. 14-U Black, R.I. Xtreme Mayfly Open, W. Greenwich R.I., going 3-0 on Saturday and giving up a single run earned them the #1 Seed, won their quarter-final game and were rained out early in the semi-finals. Being the highest remaining seed Champions going 4-0 for the weekend. 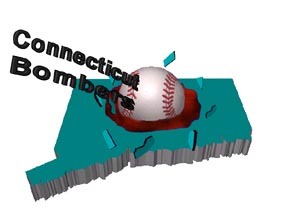 5/23-24 All 4 teams below were attending the Friends of Softball tournament in Cheshire CT.
10-U, Number 1 seed after Saturdays Pool Play, suffered their first loss in the first game on Sunday 2-1-1 for the weekend. Still a Third Place finish. 12-U Teal, After a rough Saturday they came out with a gem Sunday morning, sending the #4 seed home early before falling to the Third place team. 1-4 for the weekend. 12-U Black, A special Saturday left the team with the #1 seed. A quick win in game one then a 3-0 loss in the semi finals. The team finished the weekend 4-1 and with a Third Place ?finish. 14-U Black, First outing of the season for these girls. Saturday showed the rust finishing 1-2 and 7th seed. Sunday was a bit different two wins before a hard fought 3-0 loss in the Semi-finals. The team went 3-3 for the weekend and earned a Third Place finish. 10-U, Our youngest team had a breakout weekend taking a Second Place finish going 5-1 for the weekend including a thrilling ITB win (3-2) in the semi-final game. 12-U Teal, The development continues belied by an 0-4 weekend. This young squad is gaining knowledge, skills, and experience. 12-U Black, Our 12 y/o squad is learning their capabilities, after a 1-2 Saturday they came loaded for Bear on Sunday taking the Silver Bracket Second Place in our home event. They finished the weekend 3-3. May 9-10, 10-U attended the Mother's Day Classic tournament in East Hartford and the rough start to the season continued. The team went 1-2 on Saturday seeding 7th and lost to the 2nd seed in an ITB on Sunday morning ending the weekend at 1-3. 12-U Teal also attended the East Hartford event with a little tougher outcome going 0-4 for the weekend. The third game on Saturday was closer, and the Sunday morning game was decided by a single run! Progress is evident on several fronts. May 2-3, 10-U traveled to Beacon Falls CT to compete this weekend in the "Spring Fling" and the growth continued. While going 1-3 for the weekend some good things were experienced that will pay dividends later. 12-U Teal were in Prospect as part of the same event. The young squad in their first outdoor tournament ran into some good teams as would be expected and went 1-4 for the weekend winning their opening game on Sunday in an ITB. April 25-26, The youngest Bombers team, 10-U, opened their outdoor season with a trip to NJ for the "Welcome to our Nightmare" event in MT Laurel. This was a rough welcome to the outdoor tournament season after such a terrific weekend indoors in NY just two weeks earlier. The squad finished the weekend going 1-3. The elimination game on Sunday morning was decided by ITB. 4/11-12, 10-U traveled to Queensbury NY to play in a 13 team tournament. After a strange day of Pool Play the team finished 1-0-2 (yes two ties 2-2 and 6-6) and seeded #4. Sundays elimination rounds were very nice winning three straight to get to the Championship game. Unfortunately the gallant group came up just short losing in ITB and earning a Second Place finish going 4-1-2 for the weekend. 3/6-8, 14-U White traveled to Chase Sports in S. Glens Falls NY to play in a 6 team event. The team went 1-2-1 for the weekend. 14-U Teal traveled to The Dome in Queensbury NY to play in a 14 team event. The team finished 4-2 for the weekend earning a Third Place finish when eliminated in the semi-finals by the #1 Seed and eventual Champions. 2/28-3/1, 16-U White traveled to a tournament at The Dome in Queensbury NY and after a disappointing 0-3 in pool play, they won three straight elimination games making it to the Championship where they took Second Place, going 3-4 for the weekend. 2/21-22, 14-U Teal returned to the Lake George Region attending a tournament at Chase Sports Complex, taking the Championship by going5-0 and outscoring their opponents by a combined 45-3. 2/6-9 14-U White took a trip North to The Dome in Queensbury NY and ran ito a buzz saw, going 0-4 for the trip. As usual the losses probably showed more as far as strengths and weaknesses than a series of wins would have done. 1/23-25, 12-U Teal (11 y/o team) was at the Dome in Queensbury NY and got off to a bit of a rough start going 0-4 for the trip. 12-U Black (12 y/o team) was at Chase Sports in S. Glenn's Falls NY and went 5-0 capturing a Championship in their first tournament of the year. 1/16-18, 16-U White hits the Tournament Field for the first time in Queensbury NY going 2-3 for the weekend with 2 of the 3 losses coming at the hands of the Champions and Third Place teams, both by 1 run. 1/9-11, 14-U Black returns to the Lake George Region attending a tournament at Chase Sports Jan 9-11,Taking the Championship by going 5-0 for the weekend. 14-U Teal gets their first action atThe Dome in Queensbury NY, Jan 9-11 taking Third Place by going 4-2 for the weekend. Losing to the eventual Champions in the Semi Finals. 1/2-4, 18-U Black gets their first taste of action Jan 2-4 at The Dome, Queensbury NY finishing the weekend 5th going 3-2.